Foreign individuals who are affiliated with various organizations can be prevented from entering the US. The FAM 302.7 directive from the US State Department lists groups considered to be “criminal organizations” as defined by the international Military Tribunal at Nuremberg. Several Hungarian organizations are on the list, although most do not exist anymore. These are WWII organizations, like the Arrow Cross Party (Nyilas Párt), The Awakening Hungarians (Ébredő Magyarok) or military groups like the SS Hunyadi Division (Hunyadi Hadosztály). 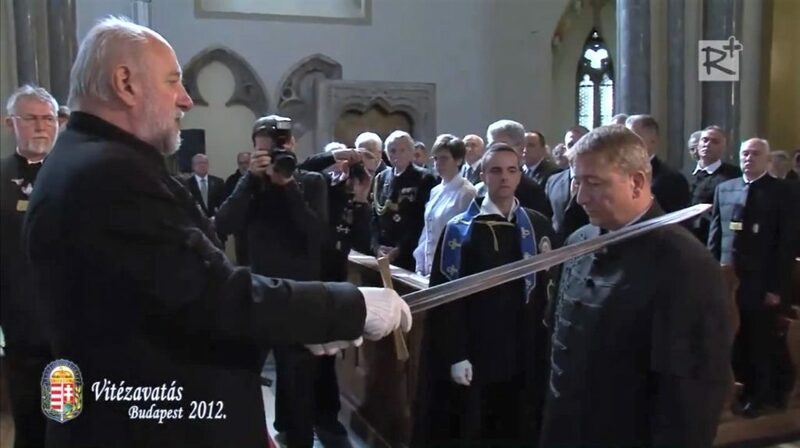 However one Hungarian organization, the Order of Heroes (Vitézi Rend) still exists and operates in Hungary with members in the United States and Canada. 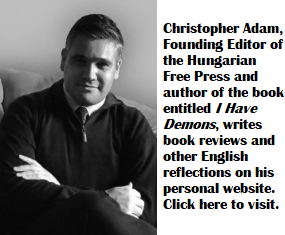 Some leading Hungarian media personalities are also members of the organization, most prominent among them the publicist Zsolt Bayer, and the far-right publisher András Bencsik. In the past Mr. Bayer and Mr. Bencsik were able to enter the United States. I find this unacceptable. Mr. Bayer’s swearing-in ceremony photo as published by the Vitézi Rend. Numerous people have been misled about the true nature of the group. In 2012 star-violinist Mr. Zoltán Mága realized that the group was connected to Nazism and immediately revoked his membership (Read about Zoltán Mága here). We call on US Ambassador Cornstein to apply the State Department’s legal framework to restrict and/or refuse US entry to members of the Vitézi Rend. We do not welcome Hungarians connected to pro-Nazi organizations in the United States. Islam is more worthy of concern than this. Known members of radical Islamist groups are already actively prevented from entering the US. And I sure that the State Dept. is simultaneously capable of effectively dealing with both. You’re worried about Vitézi Rend? How many times have they committed terrorist attacks in the US and Europe? How many times have they ran cars and trucks into the crowds of people Christmas shopping? How many mass shootings have they carried out? How many times have you heard them preach death to America and Europe? How many grooming businesses do they operate? How many rapes do they carry out? How many bombings are they responsible for? How many no-go zones do they operate in? How many of them of them are living off of the tax payers? The hatred towards them and what they do in their ancestral home land is more than the hate for what the muslims are doing in their non native lands, why is that? Prevented? What, like Farrakhan and the others followers of Islam that have forced us and every other country that let’s them in to live in a police state with barricades and other preventive measures(at the cost to the native tax payers) just so the pipe dream of multiculturalism can be called a success? I’d have no fear of taking my family on vacation in Hungary. Can you say that about the islamic countries? If Trump’s security advisor is a Vitézi Rend, then attacks in Syria will be sustained or even started by a Vitézi Rend. But if he claims to be no Vitézi Rend then he is only English with a Hungarian immigrant background. The remaining questions are then unnecessary. Is this US-regulation also valid for the ex-communists (ÁVH members ) and their partys responsibles for the genocidiums befor and after the WWII ? Well said, Mr. Lazar! The question is though whether Ambassador Cornstein understands, and cares for, the “subtle” difference between a Vitezrend-member and a regular Fidesz-party Hungarian applying for a US visa. The US law very clearly spells out individuals and organizations that believe, advocates and pursue the overthrow of democratically elected governments !!! as the Vaci commenter pointed it out. The only question remains what about those that have not repented and changed their goals and do remain believing, following and advocating the same ? That “vitezi order” is hardly any more than a retarded social group planning to fly to the cosmos. Gorka’s medal is fake,as the Order was disbanded long ago and can not issue anything. Those that just have too much time at hand. They should rather do something good for society, like some volunteer work with prisoners, or alcoholics, or in hospitals. Something useful to society and humankind. Their ego is bigger than their heart and their social consciousness. “Gorka’s medal is fake,as the Order was disbanded long ago and can not issue anything.” Well in 2012 they were swearing-in Bayer. So, when do you think they were disbanded? Please, provide proof. Really this is a re-cycled article. Although, I do not remember seeing that blue “Huszar-zubbony”. „We do not welcome Hungarians connected to pro-Nazi organizations in the United States.“ Trump´s friends have Nazi or, you have to be a Nazi to become friend with Trumpstypes. What about the P. Ö. TY.E? Now they are really worrisome. Fortunately overt and officially promoted racism is no longer permitted under the rules of the EU, so this order no longer practices its overt white-supremacist mission of protecting Hungary’s “white Christian blood-line” from Jewish “contanimation”. It’s primary target today are Muslims and other non-Christian, non-white “migrants”. Mr Bencsik’s racism today is limited to organizing guided tours to Hitler’s “eagle nest” in Germany, to commemorating the Arrow Cross led defense of the 3rd Reich during the last months of WWII which delayed the liberation of the death camps, resulted in the loss of thousands of innocent Jewish and non-Jewish lives, and leveled Budapest. Mr. Bencsik, along with his anti-Semitic sidekick, the hate-monger Bayer, are both friends and high-ranking members of the Hungarian PM and his Party. They should not be allowed to set foot in either Canada or America, or in any society that values the dignity of our fellow human beings. 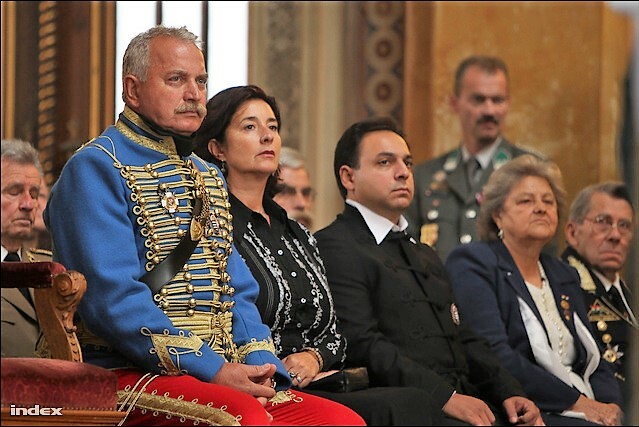 Rather than applying a blanket ban, the ban on members of the Order of Vitéz should be targeted. Sebastian Gorka should be sent back to Hungary to face charges there one day for his efforts to destroy Hungarian democracy between 1991-2008. What is this “we” should not allow people into the US. You’re not in charge of the US. You have considerable influence , yes, but that is not the same as ABSOLUTE AUTHORITY. You only speak for the jewish community, not the US as a whole. That being said I wish your friends in the US govt WOULD sanction the Vitezi Rend, if membership were no longer free of burdens, maybe it would clear out some of the parasites and retards. Hungarian Nationalists banned from entering the US – big whoop – that’s like banning members of the KKK from entering Africa. Sebeast Gorka should also be a member of Vitézi Rend. Why should he ? He has been a member for over a decade. Where have you been all this time Don Diego ? Goin’ poco loco in the coco ? Wuf, Gölli, yes he has a Vitézi Rend needle, he stick it on occasionally. Sure glad there is only one of you. Magyar. Your writing is not only dumb but also incomprehensible or you had too much palinka. The Vitézi Rend is not a political organization. Regent, Nicholas Horthy created it in 1920 to give distinction to those who made heroic acts in World War I to free Magyarország. This honor is inherited by the first child. Today the Vitézi Rend functions as a charitable organization. When you write something, please write the truth, nothing but the truth.